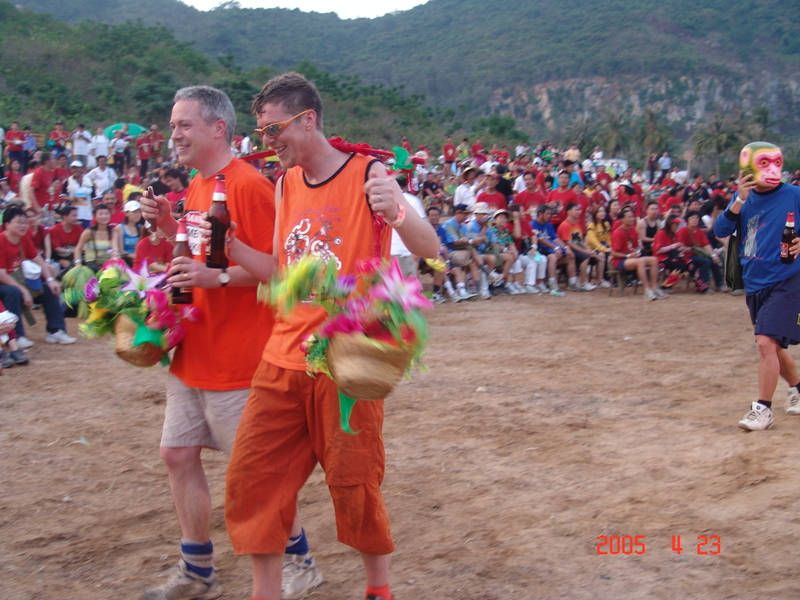 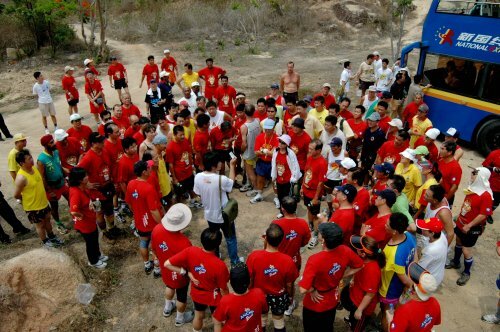 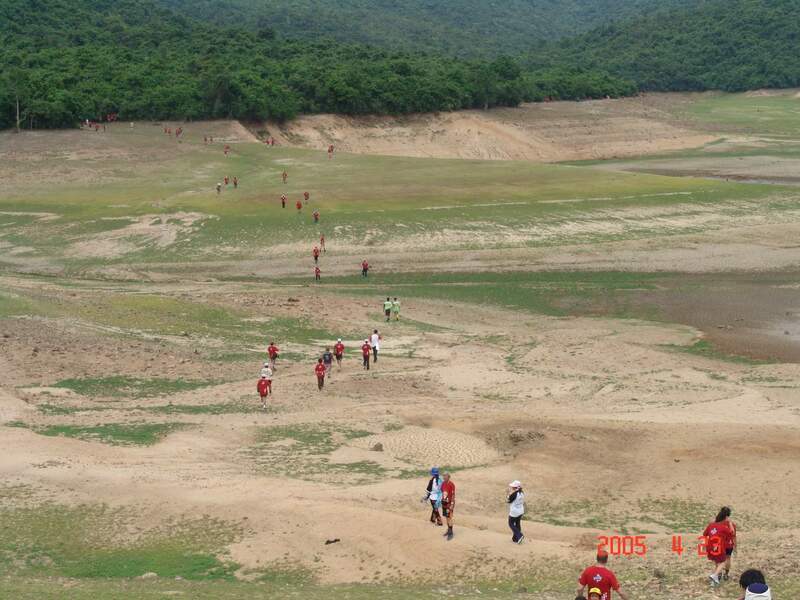 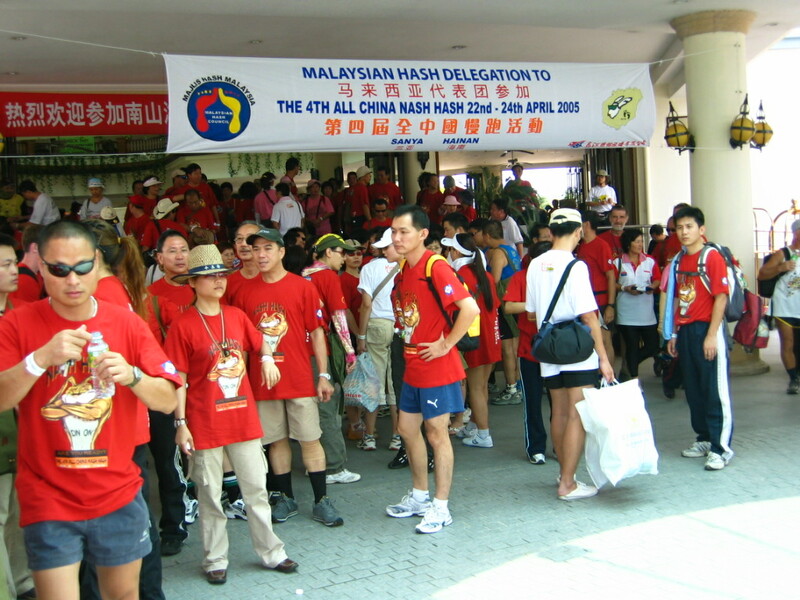 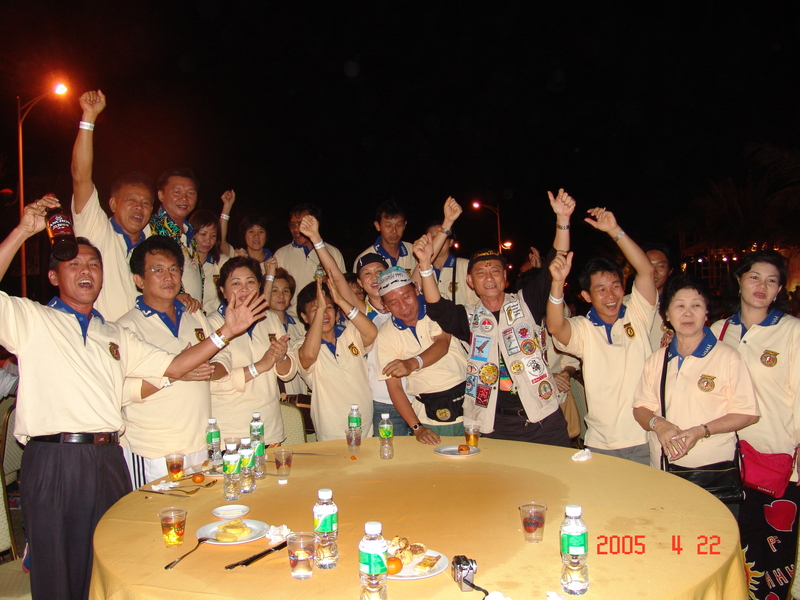 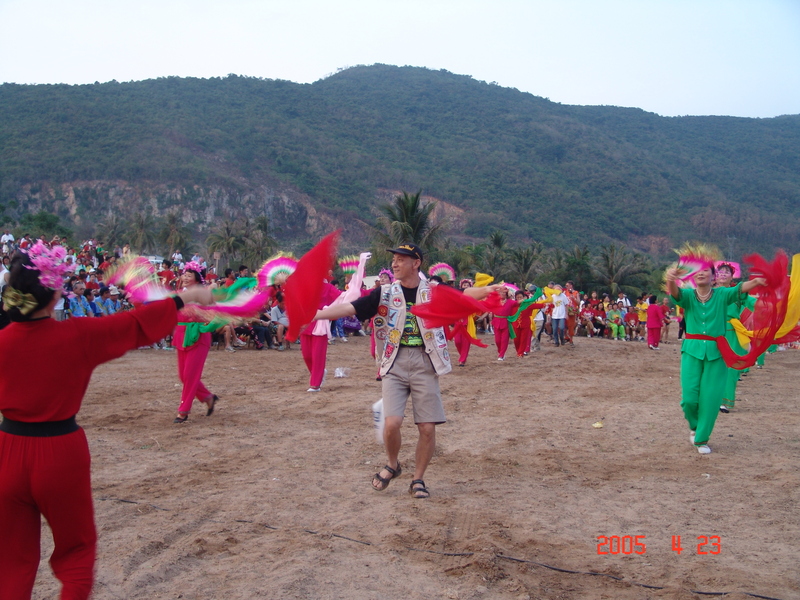 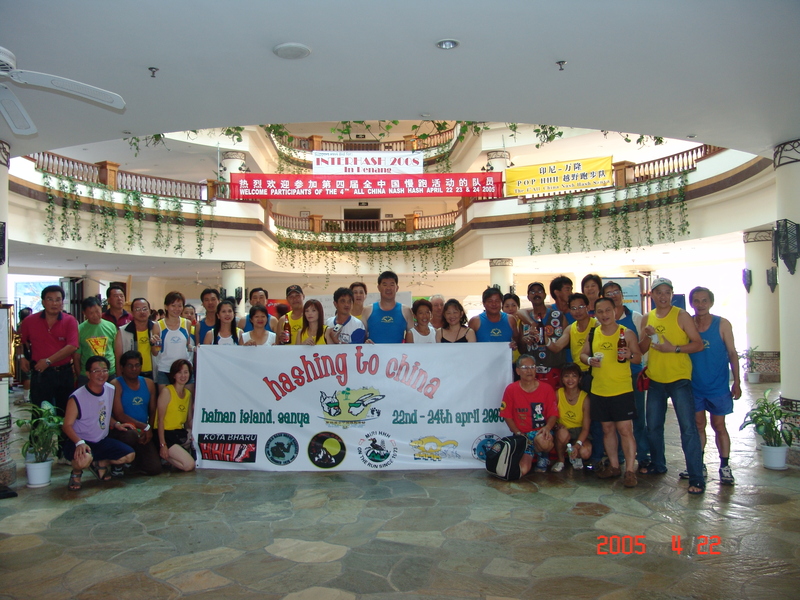 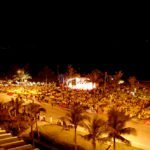 The fourth was held in Sanya, Hainan Island in April 2005 organized by Ma Hai. 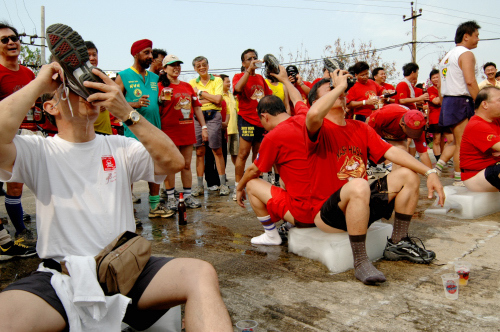 The weather was hot and because of the number of attendees the circles apparently ran out of beer. 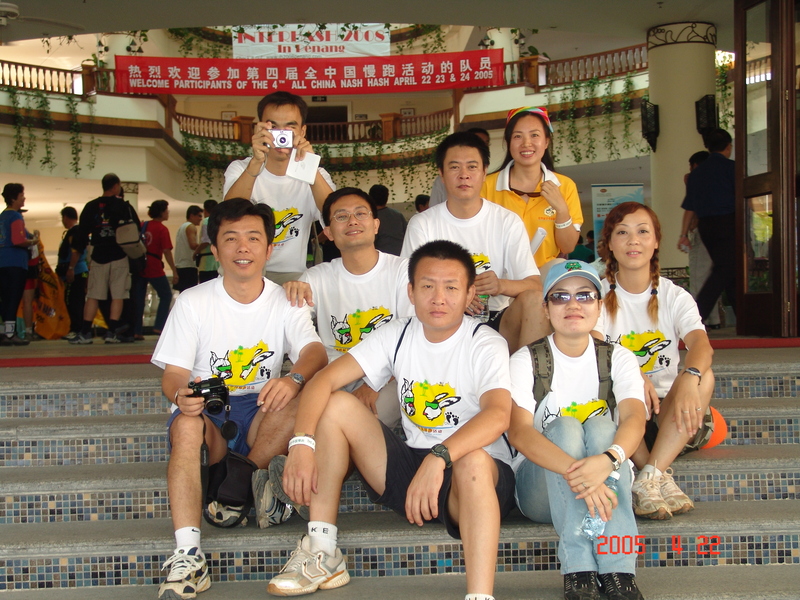 The long was very long and the short was also long. 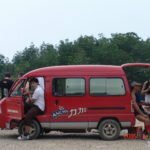 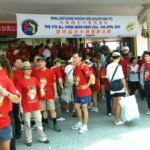 There were over 1200 attendees, mainly overseas Chinese from Malaysia and Indonesia, some even managed to book 0.99c flights with a new low cost carrier as their promotion fare. 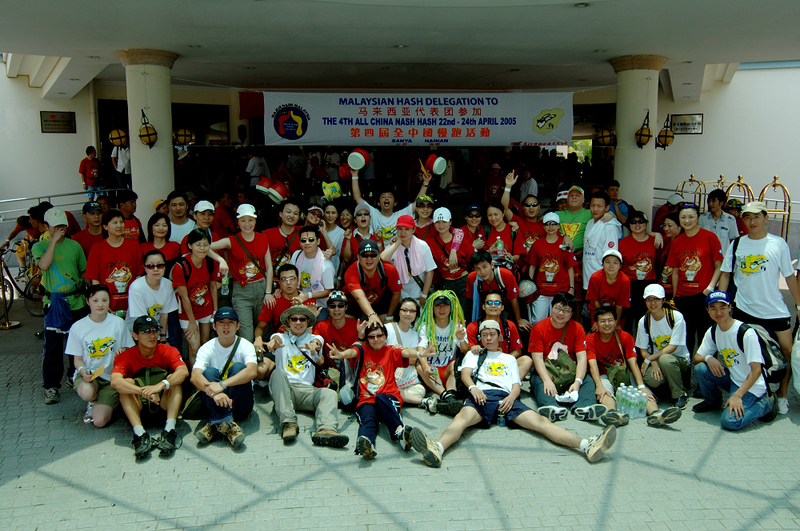 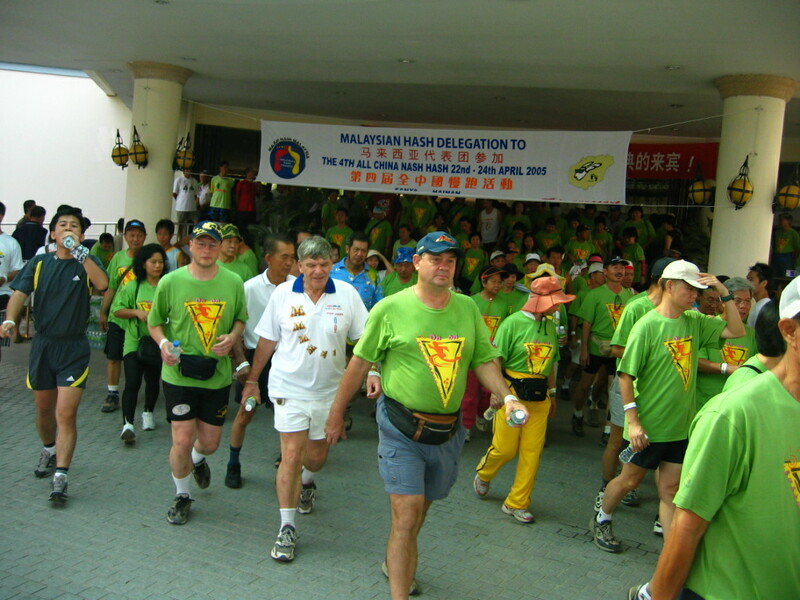 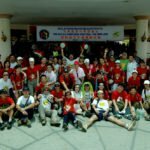 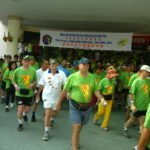 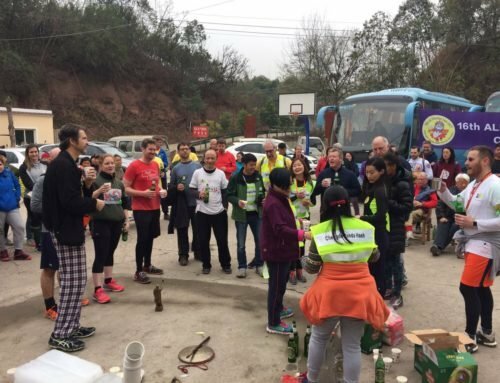 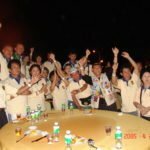 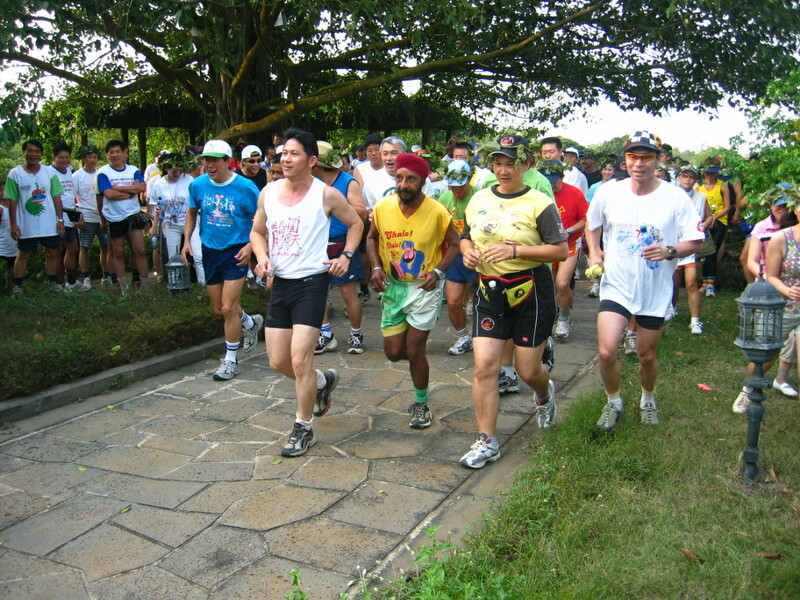 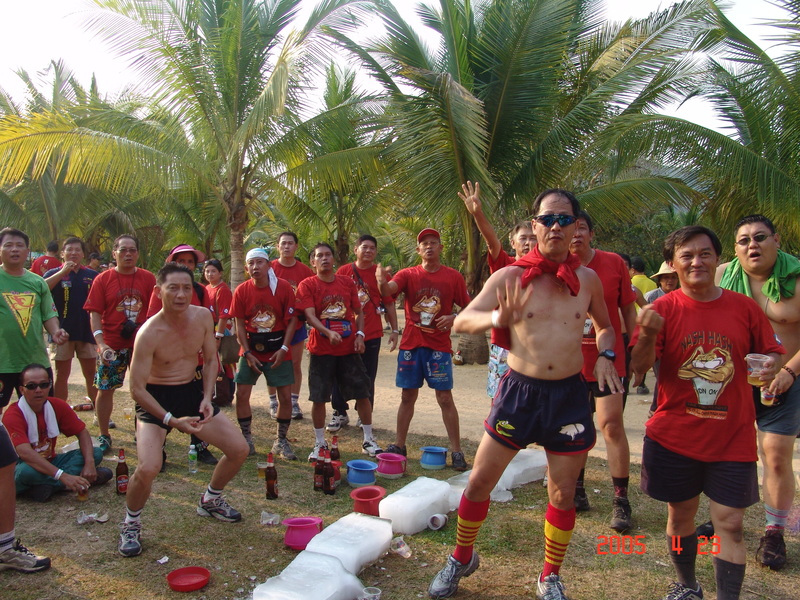 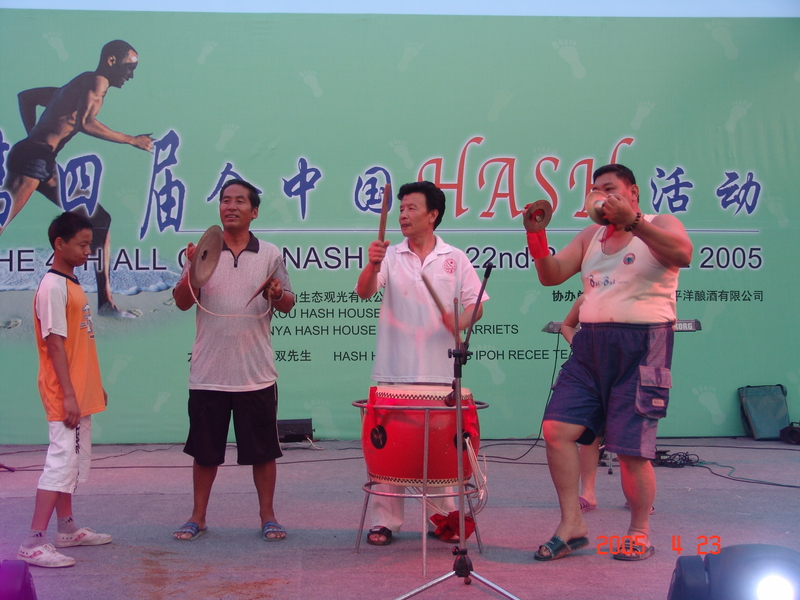 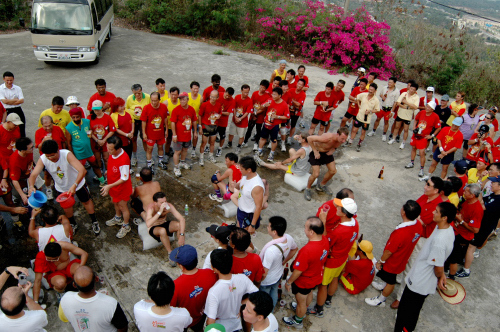 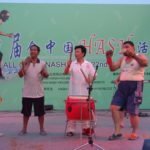 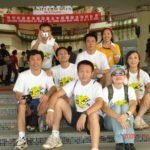 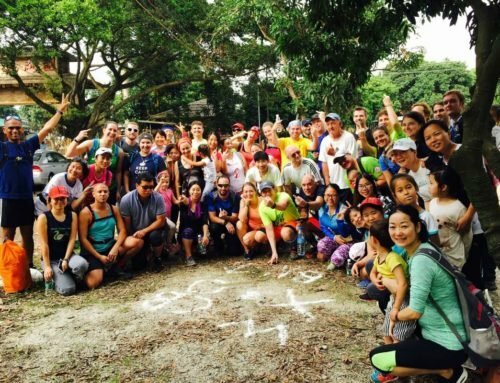 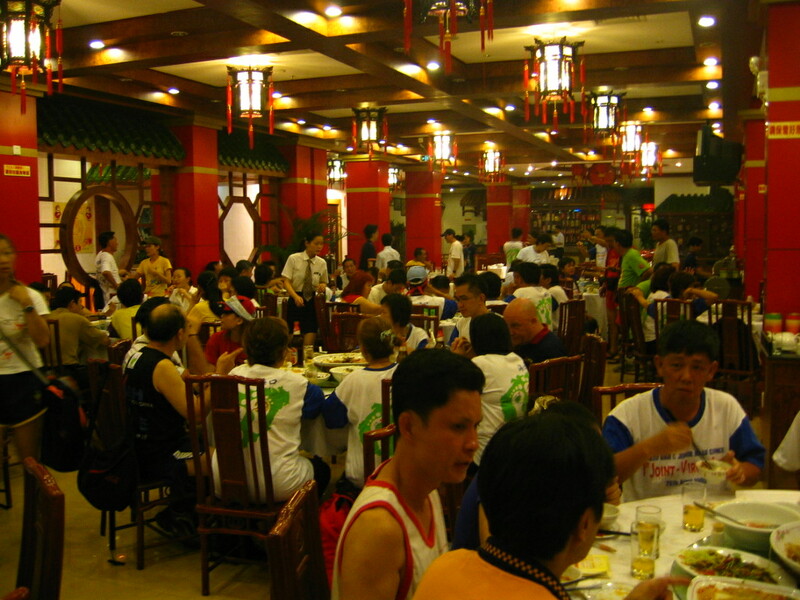 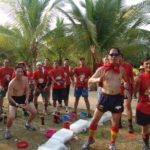 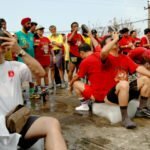 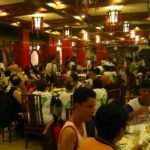 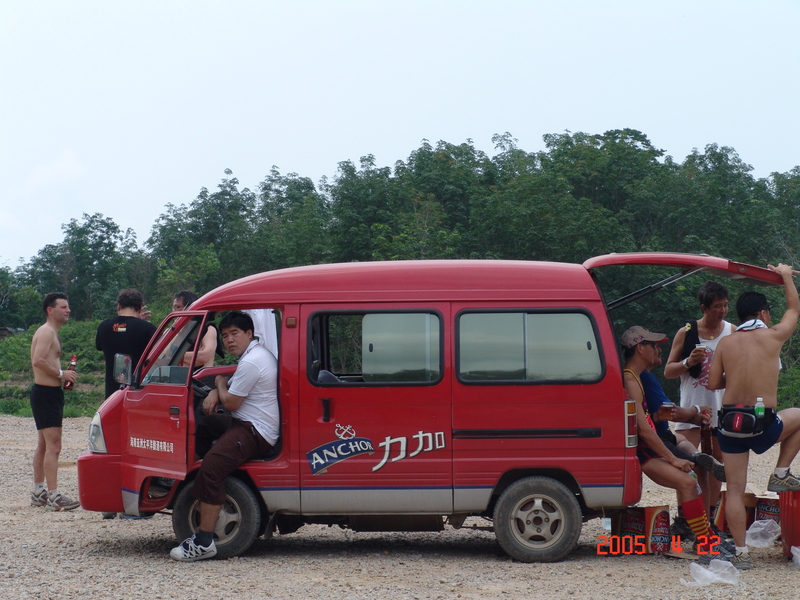 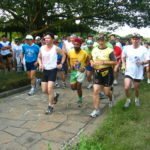 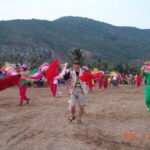 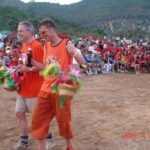 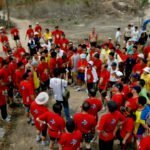 On 11-13 March 2005 a group of Hong Kong based Hashers including Catch Of The Day, Haggis, Smallbone, Emma Royde and Caligula organised an unofficial All China Nash Hash to celebrate 35 years of hashing in Hong Kong. 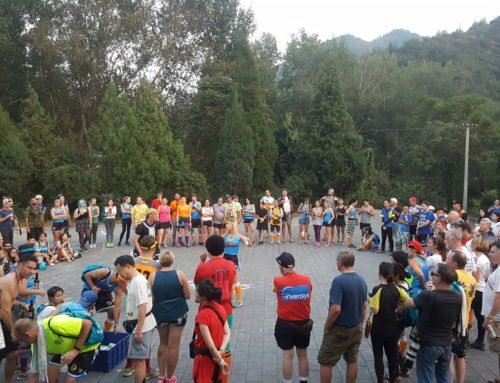 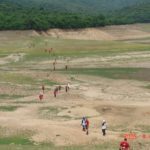 A total of 8 runs were organised by Hares from the various Hong Kong based Hashes: Little Sai Wan, Kowloon, Royal South Side, Free China, Hash House Horrors, Sek Kong, Wanchai and Northern New Territories. 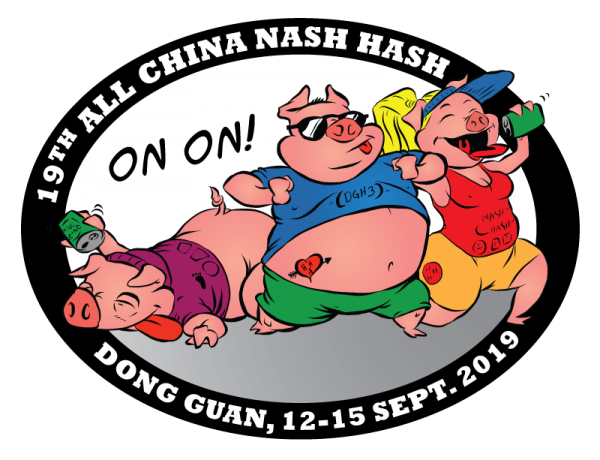 One of the Hashes in Hong Kong refused to participate and threatened to “forbid” the event so, in typical hash spirit, it became known as the Forbidden Hash. 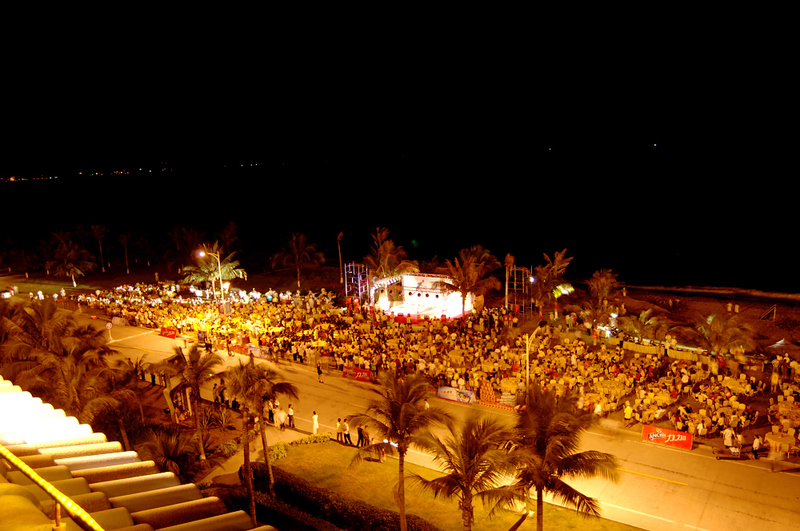 The photos below are from the Sanya ACNH.